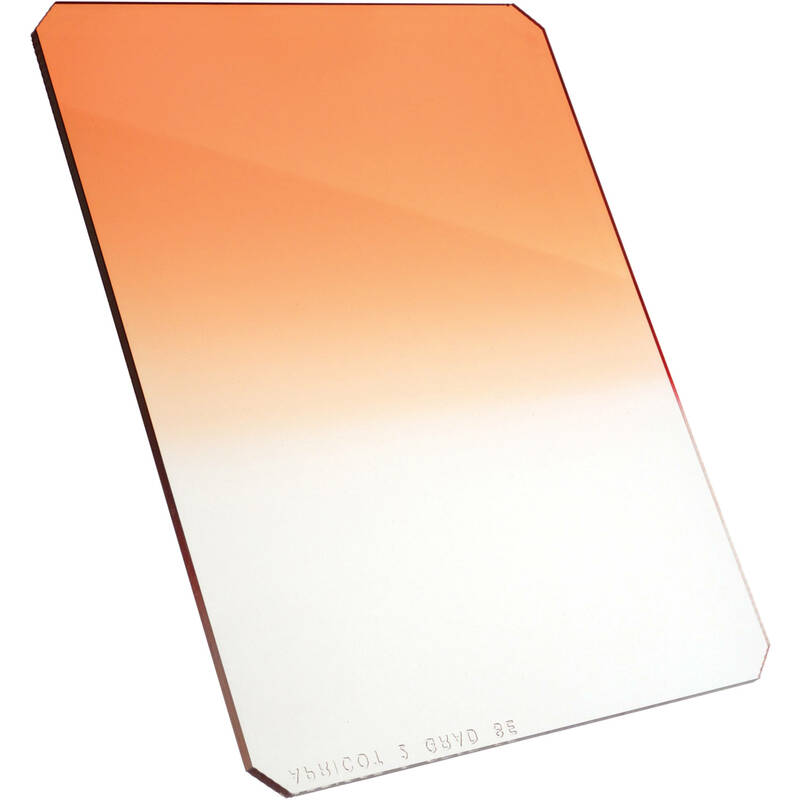 The 6.5 x 8" Graduated Apricot 1 Filter from Hitech allows you to add color or enhance the contrast of your image. This filter is made to the highest technical standards that deliver a filter that can be used with confidence. Tolerances are manufactured to such a high degree that similar filters can be exchanged from day to day without any trace of difference in the color. Hitech filters are 1.5 mm thick and do not bend like traditional resin filters. A Color Graduated filter generates the effect in the top part of the image while leaving the bottom clear. Traditionally, it is used to enhance skylines but its use can be varied to create many dramatic and moody effects. The Graduated Apricot 1 filter is a pale orange filter that gives a subtle warming effect. This is the weakest version of this filter. The Hitech filter system is made by Formatt - an English company that is renowned for its high manufacturing standards and consistency of quality. Their CR39 resin is manufactured in large sheets that are oven cured. Their exclusive Absorbing Cell Technology absorbs color as opposed to other filters that are coated. Once cured, they are sliced up to create individual filters. In this way, maximum consistency is maintained from filter to filter. This becomes crucial when you wish to change filters either mid shoot or from day to day.